Product prices and availability are accurate as of 2019-04-14 09:47:45 EDT and are subject to change. Any price and availability information displayed on http://www.amazon.com/ at the time of purchase will apply to the purchase of this product. 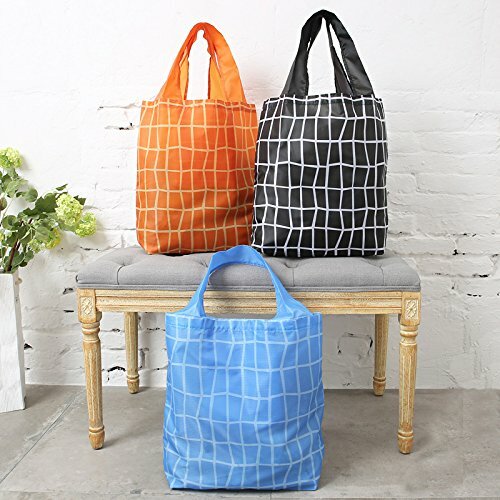 Made of high quality thick nylon material ,fastness,waterproof,wear resistant and reusable., and incredibly light weight, they not only look great but they can be used over and over again, quickly becoming your favorite bag. The 3 fashion designs are bold, colorful and fashion forward. Because our reusable shopping bags are so lightweight and fold so compactly, they can be easily carried in a pocket or purse for all shopping trips. They are recyclable. No need to hand wash; simply toss in the washing machine and hang dry. They become softer with each washing, just like your favorite pair of jeans. They have a large weight capacity so they are ideal not only for shopping, but a great all purpose tote for school, the gym, the beach and more! Made of Ripstop Thick Nylon Material, Fastness,waterproof,wear resistant and reusable. Large Capacity and Super Loading, Each bag holds 50 lbs. Bag Size: 16.7"x 5"x 15.6". The handles are a good thickness, too. 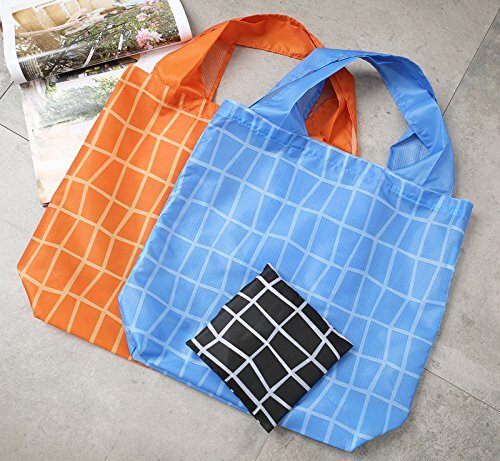 These bags are versatile, lightweight (super lightweight), fold up into almost nothing, and are pretty heavy duty Flat Square Shape Folded Pouch Attached On the Grocecy Shopping Bag: Do not worry your keys and coupons, where you would be able to get them easily . and bags can be folded into the small pouches. Easy to carry and save the room. perfect for carrying items ranging from clothes, books, vagetables, fruit, etc. 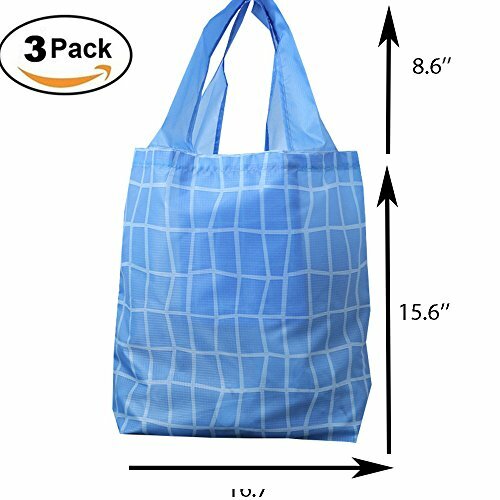 It comes in handy at market, shopping center and grocery Set of 3 pack stylish and long lasting reusable shopping bag. Much better quality reusable grocery bags on the market at a very competitive price.